St. Petersburg - Russian President Vladimir Putin is attending events to commemorate the 75th anniversary of Russia’s breaking the Nazi siege of Leningrad. The Red Army broke the nearly 900-day blockade of the city on January 19, 1943, after fierce fighting. Putin was born in Leningrad, which regained its historic name of St. Petersburg after the 1991 Soviet collapse. His father was a World War II veteran who was wounded while defending the city. A million Leningrad residents are believed to have died of hunger and bombings while defending the city and the tragedy epitomizes Russia’s enormous suffering during WW II. 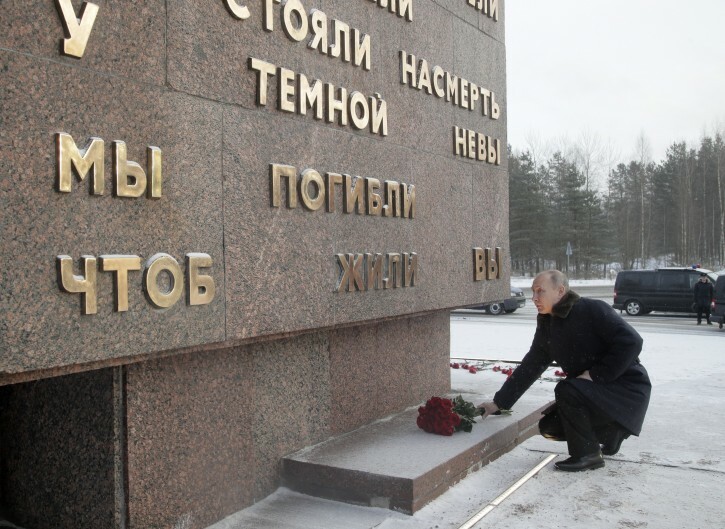 ST. PETERSBURG, Russia (AP) — Russian President Vladimir Putin is attending events to commemorate the 75th anniversary of Russia’s breaking the Nazi siege of Leningrad.